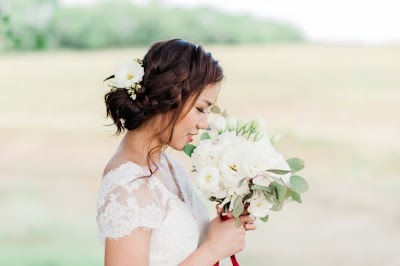 Nichole turns her brides into stunning oriental princess. Top 10 Makeup Artists in Malaysia. Dec 16: I love the air-brush effect on my face which enhanced the natural effect. Very good in hair-do. Sharon puts a lot of effort into each bridal look. Artistic! One of the best bridal makeup artists around. 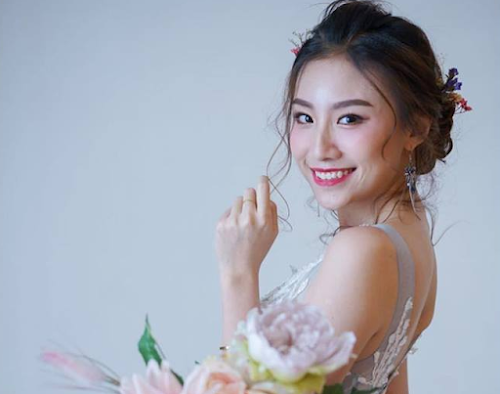 Mar 18: Excellent service, love her makeup very much. Strong proficiency in blending the skin color and Korean concept styling. Jan 17: "Very good make up, won't feel heavy at all! His service and knowledge is good! Definitely like his hair style." Very stunning natural bridal style. Sep 17: "Syezen is really professional. I love the natural makeup. so lucky to have her as my mua." Raynis made it seemed so effortless, very strong makeup and hair skill. Queen of air brush. Mar 18: Very happy with her makeup skills. She explained what makeup shades suit me. Great technique. Absolutely stunning. Jan 17: "Super like the hairdo & make up done by Jessica, made me like a princess, keep trying different type for me." Extremely meticulous in her work, reasonable price and responsive. Mar 18: Jaimie is attentive to details, made me beautiful! Great attitude, extremely gorgeous style. Dec 17: "Such a good MUA, friendly, kind, professional. Love your style so much." Wenxy emphasizes on the natural, soft makeup and clean dewy complexion with an elegant touch. Mar 18: Very talented. She made me the prettiest bride! Top 10 MUA in Penang (by Tally Press) who is also a coach. Mar 18: I love the make up done by Eva. Very natural. Fulfill all the requests. Highly recommended. The latest makeup style with a little color play for an instant face lift. Vintage, Boho, Korean, low tousled updo, tendrils, you name it. Jocelyn is able to pull it off. Perfect 10 rating. Jan 18: 10 stars rating for making me feel beautiful for my wedding. Kept me comfortable coz it suited my features and needs. Vivi is a helpful MUA with amazing skill. Glam, fashionable look. May 18: Vivian made me look and feel so gorgeous. She is so professional, responsive. Top 10 MUA in Malaysia. Yen over-delivers in providing a natural look using airbrush technique and unique hair. Dec 17: I am not pretty but Yen made me a gorgeous bride. Good at timeless and vintage styling and reasonably priced. Feb 18: Very accommodating to our requirements! Aug 15: Carmen made me look outstanding on my wedding day. A team of talented makeup artists to make sure that all the ladies; bride, mom, sisters, bride's maids are well taken care of. Ultra natural makeup and sleek structured hair designs. Makeup style - everyone has different preferences when it comes to bridal styling, be it princess, diva/ celebrity/ glam look, natural, vintage, etc. Price - Find someone who charges within your range, if you don't want to blow your budget! You may see varying comments from different people, some fancy the MUA's technique, some not so. If you think this list helps you, please drop me a note to help build the information. Thanks! Here's a list of makeup artists in Malaysia. For more detailed information, just let me know. Amelin Lok | Facebook | Bandar Utama | 012-379 6625 | amelinlok@gmail.com - Her bridal look has WOW factor, kinda glam and elegant. Amy's Bridal Dressroom & Studio | FB Page | 012-651 3622 - 2 sessions of bridal makeup from RM500. ChangeMe Makeup | facebook.com/ChangeMe.MakeUp | Puchong | 016-209 9306 - 1 morning + 2 evening sessions at RM850, ampoules+eyelashes included, accessories on loan basis. Nov 16: Great job done! 10 makeup in 2 locations all done in time! 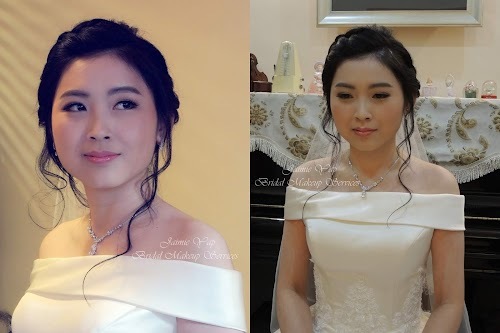 Chui Ling Siah | facebook.com/DressupGallery | 016-983 3479 - May 16: Nice korean hairstyle & make up. Good service. Nice person. Effortless Beauty Malaysia | effortless.com.my | SS21, PJ | 016-892 1862 - does facial, mani, pedicure, 2 sessions of bridal makeup from RM1200. Ellyn Make Up | facebook.com/EllynMakeUp | 016-233 7334 - Mar 18: Makeup was really natural and beautiful. She was really really friendly too. Ester Chun | fb.com/EsterMakeupParadise | 012-275 2488 - 2 sessions from RM900, friendly. Dec 17: Excellent skill. Florence Wong Image | florencewong.com.my | PJ | 012-234 0087 - Bridal MUA and specialist in eye brow embroidery. Sep 17: Well worth the money spent. The microblading work is incredibly detailed. Grace Wang | gracewangmakeup | 012-760 1752 - Aug 17: 2 sessions starts at RM1688. May 18: Amazing technique. 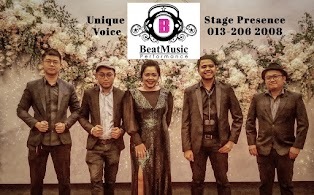 Hebe Leng Studio | FB page | Sunway Giza | 03-6141 7590 - 2 sessions from RM1000. MUA for Belinda Chee, iFeel magazine, talented. Nov 16: They r very pro. My nails still as good after few gel mani. Jaimie Yap | jaimieyapmakeup.com | 017-665 0363 - RM900 for 2 sessions - Mar 18: Pays attention to details. reasonable price, responds quickly. Made me look beautiful. Jocelyn Tan Make up | fb.com/JocelynTanMakeUp | 017-463 3335 - More Classy makeup, very trendy. KaWon MakeoverExperts | Taman Megah,PJ | FB Page | 03-7805 7880 - Apr 18: my friend showed me photos of her friends’ bridal makeup done by Ka Won. I knew instantly she was my perfect MUA. The Art of Mae Atelier Workshop | maeliewedding.blogspot.com | 012-268 1879 | maeliew@gmail.com - Unique vintage bridal style. Dec 17: Clean makeup tools, quality product. Such a talent in hair styling, vintage style. Monique Starr Makeup | fb.com/moniquestarrmakeup | 012-616 2890 - Very versatile, can create many styles for different theme. Jan 18: Her friendliness kept me comfortable. 10 stars rating for making me feel beautiful. Raynis Chow Makeup Studio | fb.com/raynischowbridalmakeup | 012-209 3929 | C180, Cheras Selatan - effortlessly awesome and natural. Sanyu Chen | fb.com/sanyuchenbeauty | Kuchai Dynasty Central | 012-652 4684 - May 18: Unique hairstyles and hairpieces is her assets, her cheerful personality is the bonus! Suz Makeup Studio | fb.com/suzmakeupstudio | 012-268 1004 - Keratin Lash Lifting Treatment (last about 6-8 weeks). Apr 18: Stunning and beautiful. Oct 12: Didn't like the trial but did a good job on the big day. hair was a little stiff. Wedding Isle | weddingisle.com.my/make-up | PJ | 012-211 6265 - bridal attire and makeup - Oct 16: Make up n hairdo was done excellent for the bride n the rest of the family. Alagis Bridal | alagisbridalbeauty.com | Shah Alam | 012-210 3475 - henna, gold facial, hands threading and bleaching, accessories. Sep 17: I have been admiring your make-up for sometime. Your work is simply superb. Sep 17: Mehndi and saree tying need to be improved. BLUSH Beauty & Beyond | fb.com/BlushBeautyBeyond | Jalan Raja, KL | blush.beautybeyond@gmail.com - Apr 18: perfect makeup to go with my look, never felt more beautiful! Relaxed, professional. Cassandra D'Silva - Velvet Bridal and Beauty | Brickfields, KL | fb.com/VelvetBridalBeauty | 017-311 3972 - Jan 14: She is a gem for Indian and Christian brides. Devinaas Bridal | fb.com/DevinaasBridal | Brickfields, KL | 012-652 5840 - Apr 18: They did really an amazing job. The make-up,hairdo plus saree tying lasted till the end. Femina Bridal | PJ | feminabridal.com | 016-6855560 (Rajes) - Mar 18: Awesome make up and service. Geetha's Bridal | fb.com/geethasbridal | Puchong | 012-351 0962 - Mehndi, makeup, attire tailoring. Apr 18: Easygoing, made me feel calm. Happy with the way the makeup turned out. Thanks for your beautiful work. Gouri's Bridal & Beauty Parlour | FB Page | Ampang, KL | 012-252 8836 - glamourous look. Oct 17: beautiful makeover. It was simply superb & beyond what i have expected. Shanti's Bridal, Hair & MakeUp | fb.com/ShantiBridalandFashion | Jln Masjid India, KL | 017-638 7547 - 3D eye makeup. Mar 17: The eye makeup was simply a bomb! Jastina's House of Mehndi and Bridal | 014-362 2303 | fb.com/JHOMB - Shanti and her daughter Jastina (makeup artist, tailor, mehndi artist, stylist) run a beauty salon one floor above Madras Store in Jalan Masjid India. Laashya Gallery | fb.com/malaysianprewedding | Jalan Klang Lama, KL | 012-508 8454 - Makeup, pre-wedding photography, costume rental, art, craft store. S-TEA Makeup | Puchong | fb.com/stea.makeup | 011-5357 1837 - Apr 18: My fairytale look come true by ur magical extraordinary touch. ur amazing at ur job and a wonderful person. May 18: i tried to contact you through whatsapp but i haven’t get a reply yet. Sulo - Colours By Sulo | coloursbysulo.blogspot.com | PJ - expert in saree tying (unique styles, conducts workshop), more natural and modern bridal makeup + hair. Mak Andam adalah pakar dalam adat istiadat and keperluan perkahwinan tradisional seperti pelamin, perhiasan bilik tidur, solekan, baju kahwin dan sebagainya. Beliau menggunakan cara solekan and teknik pendandanan rambut yang lebih klasik seperti penggunaan gincu merah terang, dan kening yang tebal. 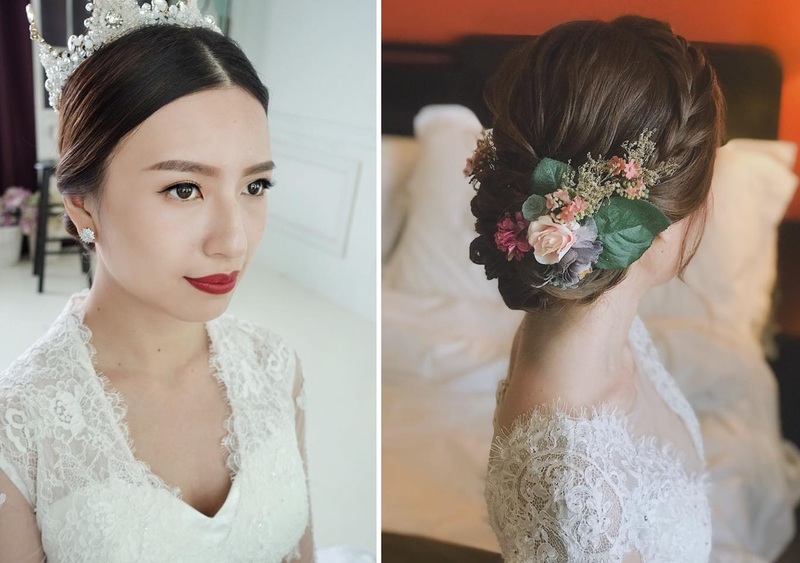 Akan tetapi, pengantin baru sekarang lebih meminati cara solekan yang lebih modern dan mencari MUA atau jurusolek di Malaysia yang dapat memberikan mereka wajah pengantin yang seri dan semulajadi, ringkas tapi cantik, ataupun ala Korea. Mak Andam is the expert in traditional wedding practices, and essentials such as pelamin, bedroom decoration, and other required items. She/ he uses more classic makeup and styling technique like a super bright red lip and thick brows. However brides now are seeking more contemporary makeup artists who have modernized the bridal look to something preferred by them. Awin Seindah Wajah | 013-770 2739 | seindahwajah.com | seindahwajah@yahoo.com.my - RM700 per session, RM1300 for 2 sessions, RM1900 for 3 sessions. May 15: Serius cantik hasil solekan kak Awin. Terpegun jugalah tengok muka sendiri kat cermin masa tu. Ayang Kamell | fb.com/Ayangkamell - Celebrity MUA. Feb 13: 1 session: RM900, Feb 11: Friendly, easy to work with, openly discussed about what I wanted, love the eyeshadow, truly satisfied. Imaan Elulue - Iman Hatta Make up service | instagram.com/elulue | 019-600 8598 - Aug 17: Tunang RM250. Nikah RM300. Sanding RM400. charge Imaan ni berbaloi. Barang-barang mekap 1st grade. mekap sweet and natural. 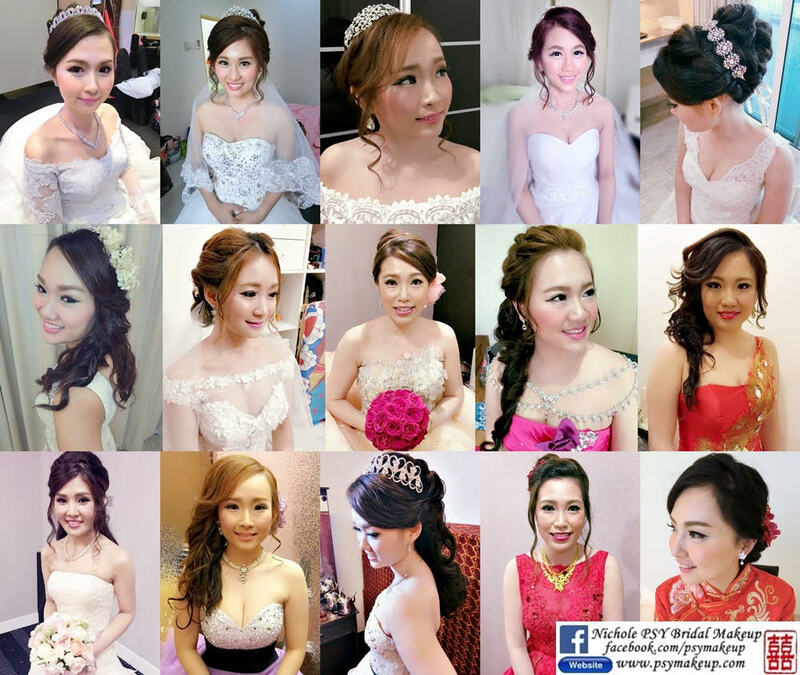 Fannie Tan Beauty Makeup & Hair Styles | FB Page | 016-592 6207 - everyone praised her professionalism. Good at contouring T-zone. Janice Lam Makeup Lab | FB Page | 010-366 1109 - makeup for modern brides. trendy. May 18: I loved her make over! made me feel super comfortable. Josephine KING Bridal Make Up | fb.com/king.josephine | 018-323 3008 - Apr 18: I didn't have a trial beforehand but she was able to create my dream look on the day. May Cheong Professional Make-up Artist | Menglembu (Ipoh)/ Sg Siput | fb.com/MayCheongMakeUpIpoh | zmay_cheong@yahoo.com - Jan 18: Satisfied with your professional service. your make up and hairdo and make my day so beautiful. Sally Makeup | Taman Pakatan (Ipoh), Taiping, Perak, Penang, KL | sallymakeup.webs.com | 012-516 6602 - 2018: 2 sessions at RM650. Jul 18: A professional and lovely artist. The price is very reasonable too. 016-513 0817 - elaborate, natural, nice hair design. Sazlees Bridal Gallery | FB Page | Changkat Jering | 05-855 3071 - Dec 16: best MUA in town.Great service. 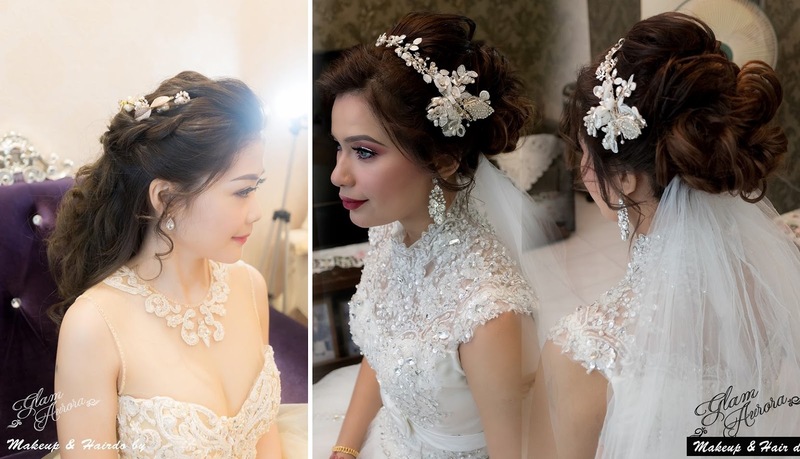 Stephy.D Bridal Makeup & Hairdo Services | fb.com/stephymakeupservices | Sitiawan | 013-755 6575 - May 18: worth the price. Vivian Liu - PRO Beauty & Make-Up Academy | FB Page | Kampar, Perak | 05-465 0120 - Oct 15: Really stunning haido. Wenxy emphasizes on the natural makeup and dewy complexion with an elegant touch. Proficient makeup technique in beautifying her brides' features. Modern hair styling. Mar 18: Very talented. She made me the prettiest bride! Top 10 MUA in Penang who is also a coach. Very glamorous makeup and hair. Mar 18: The makeup is amazingly done on my skin and very natural. She is able to fulfill all my requests and easy communication. Barry Make Up & Hair Design Academy | fb.com/barry99999 | George Town | 016-494 1288 - provides makeup courses. Video of how airbrush makeup is applied. Barry knows what makes a woman beautiful, from a man's perspective. Cindi Lim Pro Makeup | cindilim.blogspot.com | fb.com/cindipromakeupartist | 017-3456458 | Check Prices here. Dec 17: thanks for your professionalism, punctuality, match makeup and dress. Joie Z Make Up & Academy | fb.com/joiemakeup | 016-404 1798 - Jan 17: excellent make up skill where she managed to complete my make up in short hour. natural make up and fulfilled my expectation. Kelly Makeup Studio | kellymakeupartist.com | fb.com/kellymakeupservice | Gelugor | 012-422 0802 - Mar 18: She knows what suits her customers. Nat Makeup & Hairdo | fb.com/Nat.makeup.hairdo - Feb 17: I felt stunning with the natural make up and perfect hairdo. Suki Lim | Butterworth | FB Page | 012-472 0916 - Apr 18: Her skills & professionalism is indeed impressive! Sam Khor | samkhor.com | 012-4575 5528 – Dec 12: RM 380 for 1 session, Sep 13: I really love her so much! She is a perfectionist. Shella Goh's Make Up | fb.com/ShellaGohMakeup | Butterworth | 017-378 9818 - provides makeup course, videos of makeup tutorial and herself dolling up. 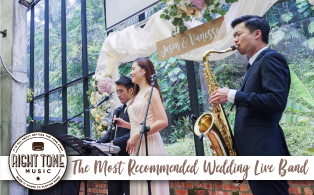 Apr 18: She did a natural looking makeup for us and we were very happy with her service. Cindy | Passion Bridal | 06-7619968 - Mar 11: Engaged MUA Cindy from Passion Bridal shop- the cheapest in town. They charged me RM120 + a pair of eyelashes (exclude hair accessories and ampoules). She is great! Chris Beauty - Chris Lim | chris-beauty.business.site | FB Page | Taman Johor Jaya, JB | 07-353 2892 - bridal makeup and nails. Elise Image Academy 伊莉丝化妆学院 | fb.com/elisemakeuphouse | 016-711 3113 | Taman Desa Terbau, JB - Nov 17: super satisfied! beautiful and elegant makeup. Price is reasonable. EvaTan Bridal Makeup & Hairdo Service | FB Page | Taman Johor Jaya, JB | 016-793 6321 - Impressive result. Jun 18: Extremely love Evan's makeup and hairstyle. Made my eyes so beautiful and big. Nice personality. Icey Lee | icey-makeup.blogspot.com | fb.com/icey.makeup | +6012 790 7877 (M'sia) / +65 8199 6880 (S'pore) - 1 session for SGD300. Nov 15: amazing job on my wedding. Friendly. June Professional Make Up | FB Page | JB | 012-718 3273 - eye lashes not too dense, princess look. JiaXin MAKE UP | fb.com/jiaxinmakeup | JB | 016-773 0627 - Sep 14: Love the makeup and hairdo. 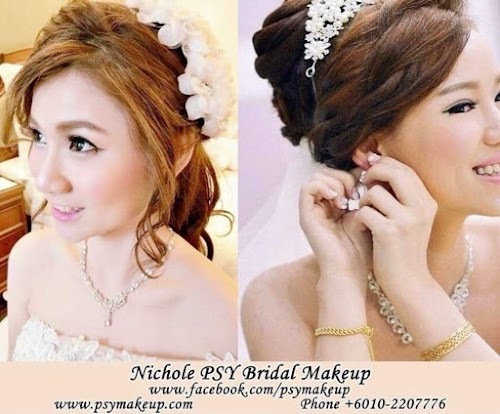 Nicolexiianmakeup & Hairdo Bridal Service | FB Page | JB | 014-915 2423 - Very skillful in enhancing the eyes. Jun 18: Made me look like a barbie doll during my wedding day. Sandara Liaw Make-up Artist | FB Page | JB | 016-797 3999 - She knows how to bring out the features, 3D effect. Sparkling eyes. glam style. Beautiful by Yalya | Instagram | 016-717 9749 - Sep 16: nampak muka mahal. Cantik hasil dia. Cuma my mom cakap tudung dia xpandai nak cover jendul. Makeup by Hanizah | Instagram | 016-670 0367 - Sep 16: memang teliti, ramai cakap cantik, makeup naik seri. tahan lama. jenama High-end. pandai pakaikan tudung. Mathangi Beauties | FB Page | Skudai | 016-703 4453 - Very gorgeous result. Mar 18: U made me look so beautiful. Cherry Au | auteliermakeup.com - Oct 12: She won our hearts with her professionalism and heartwarming personality. Komathy Bridal's | FB Page | Taman Karak Indah | 012-221 3258 - Nov 17: Best lady! Cheapest in town with quality products. Hazyrah Zuhaimi De Touch | Website | Kuantan | 011-10758594 | azyra94@ymail.com - Nikah RM200. Tunang RM150. Sanding RM250. Ambridge Cottage | FB Page | 06-3177666 | ambridge_cottage@yahoo.com - makeup, decor and cakes. Feb 14: Super good service! Really the best in Melaka! Thanks Eric for attending patiently to all my many request! Jeannie K Professional Bridal Make Up & Image Design | FB Page | - Nov 17: Makeup is fast and beautiful. Joycelyn Make Up and Hairdo | FB Page | 010-766 6925 - glam look. M Nicole Make Up & Hair Style Design Academy | mnicolemakeup.com | FB Page | 016-665 5737 - Amazing retro bridal style and curls. 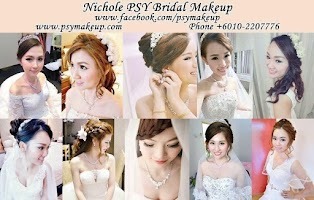 Michelle Bong Bridal Make Up | FB Page | 016-691 1111 - May 16: Michelle is very dedicated and friendly. Her make up and hairdo is simply awesome. Peggy Phang Professional Makeup Artist | FB Page | Pulau Sebang | 016-338 5743 - Aug 17: versatile, can do different styles. ShuBee Makeup Artist | FB Page | 010-278 7038 - Jun 18: Shubee made my eyes sparkle. Hubby said I looked like a fairy. Alangkara Beauty & Bridal | fb.com/alangkarabeauty | Taman Bukit Piatu Mutiara | 016-706 7439 - Jan 18: I like her make up. Nice. Kasturi Beauty & Bridal House Melaka | FB Page | Jalan Bendahara | 014-719 1287 - makeup, facial, threading, saree draping. Apr 18: Great skills, got attitude tho. Savitha Beauty Centre | FB Page | Taman Muzaffar Shah | 012-609 5104 - Facial Treatment , Eyebrow Threading, Waxing, Bridal Makeup, Beauty Course, Grooming Classes, Reiki(healing) services and etc. Varunis Bridal | FB Page | Alor Gajah| 012-292 5571 - Jun 18: reasonable price, punctual, makeup is super. Andaman Merpati Melaka | FB Page | Melaka, KL, Johor | 014-967 9894 - Package pelamin, makeup, catering, etc. Makeup by Watiey Abdullah | FB Page | 017-780 0406 - Creative, makeup that transforms your look. Talented artist. Arinna Shams | facebook.com/arinna.shams - Dec 12: Kak Arinna Shams bukanlah famous MUA, tapi dia sangat kreatif dan berbakat. Hasilnya sangat memuaskan hati, lagipun harganya sangat berpatutan. She is very friendly to me. McNA Touch | facebook.com/McnaTouCh - Jun 12: B2B dari Kuala Terengganu mesti kenal dengan MUA Kak na, dia sangat femes. Harga sangat berpatutan.Saya sangat2 suka dengan hasil beliau. She will make you a beautiful bride on your BIG day. The use of makeup colors is comfortable and perfect for your face. It is important to know the right density and style suitable for each individual, Fanny is able to achieve just that. Anewme Beauty and Make Up - K-Ling Chuah (Jenny): 016-469 1314 and Alicia | FB Page | Alor Setar | 04-730 6029 - natural and modern. Dec 17: very natural yet can bring out the beauty of yourself. Katrine Loo Makeup Artist | FB Page | Alor Setar | 012-583 3593 - Very unique bridal style, turns the brides into superstars. Samz Professional Makeup Artist | FB Page | Alor Setar | 012-562 2574 - love his hair designs, with layers. Haya Rahim Make Up | FB Page | Alor Setar | 019-430 7195 - Talented MUA, talkative, produces fun live makeup tutorial. Sep 17: the best make up natural gitu. Gwenda Wong | fb.com/gwendawongmakeup | KK - Jun 17: very professional and friendly makeup and hair do artist,Gwenda truly understood what I wanted. Jeffie Jeff | Kota Kinabalu | facebook.com/makeupbyjeff | 014-658 8197 - May 14: makeup looks thick but very natural, dramatic, result is much prettier than original look. He is popular, out of my budget. Afieyza | 018-276 4278 - Nov 16: mekap dia halus & cantik. Carolyn Leong - Makeup Design | FB Page | Jalan Wan Alwi | 017-866 6896 - Jun 16: Flawless makeup. Eirwen Kho | Kuching | FB Page – Dec 12: RM 550 for 2 sessions. Highly recommended by forumers and my PG. Mei Ling (Pearl Studio) | Kuching | 019-8774404 - Jan 14: Impressed with her skills. natural style, experienced, RM450 for 2 sessions incl. transport. Nov 14: She is very organized, passionate about her work. asked for a photo of the gown to start thinking about the look to match. friendly. HERS MakeUp Miri | FB Page | Miri | 016-864 2420 | hiiboontsin@gmail.com - Mar 18: natural makeup, classy hair for my wedding by Apple! Magic Beauty Studio | FB Page | Miri | 085-442 303 - Feb 18: Attractive, I love it so much. We are a group of KL/Selangor based professional make up artists. Can we have the honour to be listed in your MUA list as well? Hi there, thanks for providing the info. Added. Hey Lisa, thanks for the feedback. you looked very elegant in the photo. ksteeng: thanks for the valuable comment. I see that you're a wedding planner as well. Nice accessories you have there. 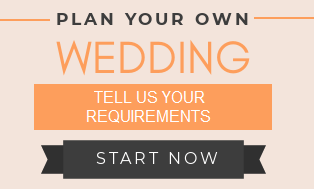 I'm sure other brides can learn alot reading your experience. Hi, do u hv any contact for any good MUA in Kuantan? Any Kuantan brides would like to comment? She actually based at PJ too but doing for seremban also. thanks, info updated. you're a client of hers? any comments about her? she is punctual,listen to what i need & give some advice. recommended!!! And she has great hand in body art. I took a look at her website. there's no mention of the rates. Do you mind sharing? What's her range for 2 sessions? Any other Yenmakeup's clients would like to comment? Hi Yen, updated. Does it include nail art? Any recommendations for MUA in langkawi? Hi, This is Lorraine, I relocated from JB to Penang, I will be able to Langkawi. Hi, I hired Gene Lim last year for my bridal make up. She is a consumate professional, very punctual & friendly. And her skills are amazing! Transforming you to look your best while still having a natural style. The only potential downside is she is so in demand, she is often not available if you book her too late. I booked her 1 1/2 years before my wedding just to ensure I get her as my MUA. im a makeup artist from KL, can we have the honour to be listed in your MUA listing? Hi Sue, thank you for your support. It was a wonderful event, the makeup and hair style together with your dress made the makeover match well with your company party. I sincerely look forward to create another makeover for you and your friends. Any recommended mua in ipoh? Is loraine from ipoh? May I know which forum u got it from? Tq. Hi, check out Moi Mee. She got some good comments. 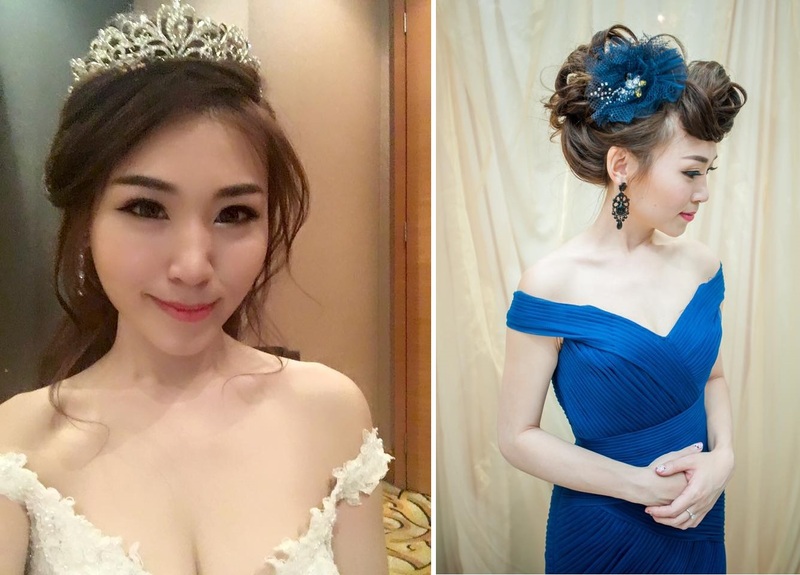 Hi, I just got married in october and would like to recommend my makeup artist, Chui Ling. During the trial we discussed what I wanted and she did the day and night looks for me. She's friendly and open to ideas. On the day, she was actually early for both sessions. Her rates are reasonable too. The next day, I had a dinner and used the services of another makeup artist, TY, who did the makeup for my mum and sisters on my wedding. Very natural and reasonable also. I personally know this make up artist and think that she does great job giving a natural effect. Price is very reasonable too. Very punctual and friendly, always makes effort to satisfy her clients. Location is Damansara Perdana. I had used Desmond as my make up artist. He focuses mostly on bringing out your eyes for the makeup and he did a great job making me look as natural as possible. His hairdos were great as well. He was polite and punctual and even contacted me before the wedding to make sure all the details (time, venue etc). Even when my mother had requested him to do something extra for her hair (though i originally did not hire him to do hair and makeup for my mother), he was willing to help her as well without demanding any extra charge (he helped her after my makeup was done). His price is very reasonable. Mind to ask, Can we have the honour to be listed in your MUA list as well? do covering outstation assignment too. 1 MUA at Malacca that i highly recommend. Juan- also teaching at STAR BIZ make up centre. She is currently a teacher at the centre and at the same time , she also provide her profesional service under the the company she work with. Le Ann, do you have any info on Jess wong- Dress up room, services? Anyone here who has engaged her? Pls share. You can check out the blog post I wrote on Jess here: http://wedresearch.blogspot.com/2012/12/mua-jess-wongs-dress-up-room.html. There are some reviews about her. In my opinion, trial is important. Many MUAs are good, but not everyone's style suits your preference. If you don't like the styling during the trial session, you can still change it. If you are not particular person, I guess you could skip the actual trial, opting for more higher definition photos to grab a better impression of the makeup results. I believe generally the MUA with lots of praises by former brides is safer with lower chances of things turning bad. I agreed with Le Ann. Trial makeup is important. Everyone mua have their own styles. hi , do you have any good recommendations for MUA at Alor Setar? or Penang ? besides Angela as she is already booked on my AD. She does makeup in Singapore and JB. I'm the MUA, Susan Law. It's great that I'm in your list of Wedding Makeup Artist. By the way, I'm no longer update in multiply.com. Can you help to update my contact info? Thank you very much. I would like to recommend a MUA based Kampar & Ipoh. Please do add Make-Up by Vanz (http://makeupbyvanz.blogspot.com/) she did great job for my makeup last year performance and now I am appointing her again for my wedding to come... She did make up for Tun Dr Siti Hasmah and Chef Wan as well... rate for wedding package range from RM 880-1.6K. I engaged Syezen Liow as my MUA too. I was satisfied with all what she had done to me. The result was "Brillant" i can say. Furthermore, she is a very friendly MUA i ever met. You all definitely can find all her hard work through FB page via "Syezen Make Up and Hair". Im strongly recommend her who ever need a MUA on their big day. I am a freelance MUA. "I want to look natural.Please don't make me look white.I don't usually wear much make up." The above preferences or worry-list goes on. These are the usual statements I hear before I start my make up. I have been a make up artist for more than 5 years now. My work includes everything from makeover for one of the most important day in a woman's life to any other occasion that calls for a great look :) I also do henna /mehndi art work and various saree draping styles. 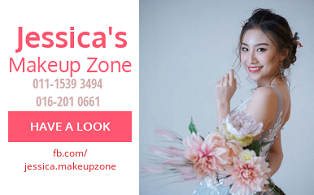 Hi, If you are in Malacca and looking for makeup artist. Do visit my makeup & photography studio in Ayer Keroh. preferable to make an appointment before meet up. We provide bridal makeup, modeling makeup, event makeup and also classes for personal makeup session. I did makeup for any skin type (chinesse, malay and indian) according to my client's request. 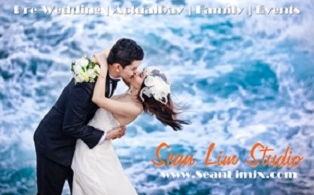 I also provide free consultation session before proceed to trial makeup & actual day makeup. here is my page: www.facebook.com/missizssmua. Hi. Do you know any good MUA in Terengganu? I added some entries under Terengganu. Hope it helps. -Arinna Shams | facebook.com/arinna.shams - Dec 12: Kak Arinna Shams bukanlah famous MUA, tapi dia sangat kreatif dan berbakat. Hasilnya sangat memuaskan hati, lagipun harganya sangat berpatutan. She is very friendly to me. -McNA Touch | facebook.com/McnaTouCh - Jun 12: B2B dari Kuala Terengganu mesti kenal dengan MUA Kak na, dia sangat femes. Harga sangat berpatutan.Saya sangat2 suka dengan hasil beliau. I engaged Cally Tan (based KL) as my MUA in Ipoh. She charge very reasonable and very friendly. I'm very satisfied with my make up & hair do. She's very hardworking girl that she went to Taiwan to learn make up skill few months ago. Has anyone got any experience to share with Rynee Tan as MUA? I hardly found any comments or testimonials about her on the Web. Appreciate if someone could help.... Thanks. I am Sabrina Hashim, a freelance makeup artist based in Penang. Sabrina Hashim . Dinner and event makeup rates at RM80. 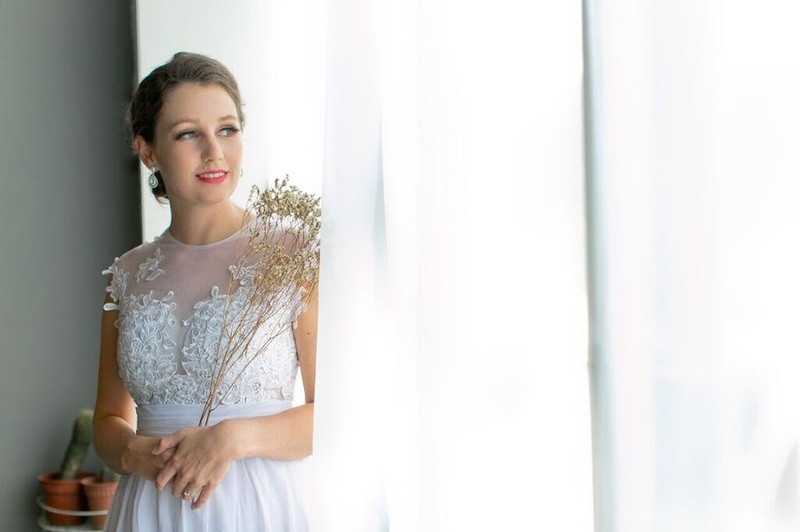 Bridal makeup at RM250 per session. Call / What's apps for enquiries at 0124542204. Facebook page: www.facebook.com/pages/Sabrina-Hashim/280521288728680 . Instagram: sabrinahashim_mua . Hi anyone familiar with or have any comment bout MUA Venus Ng that based in Perak? Am considering to use her service on my wedding. hi everyone..any good recommendation for make up artist in Kuching??? hi everyone, any good MUA in sibu, sarawak? Rynee Tan is considered as one of the top MUAs. http://look-see-eat.blogspot.com/2012/11/research-list-priceratequotations-of.html. I think her makeup, grooming is quite eye-catching. Jan 14: Impressed with her skills. natural style, experienced, RM450 for 2 sessions incl. transport. Dec 10: Like the trial make up with very natural touch up and she's willing to share lots about cosmetics too. A very easygoing MUA with good art and reasonable rates. I used Remy Ngan from Mimi Make Up as my MUA. She and her assistant Veron did a fantastic job. They gave me a trial session about two weeks before my wedding. They were very punctual as well. I like her style because she enhances who I am and doesn't try to create me to become something else. A lot of the other MUAs out there run the risk of making one looks a bit "ah lian". 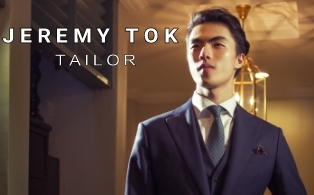 So if the brides out there are going for a classic look, please consider Remy Ngan. I had about 8 other family members and bridesmaids who had their make-up done by their team of make-up artists. Hello, do you any recommendations of good MUA in taiping? Thank you. hello ~~ any recommendations at Bentong? thanks !! I would like to recommend my MUA from Kuantan, Aiko from Aiko Academy (https://www.facebook.com/aikomakeupacademy). She did a perfect make up and hair for my wedding (both day and night). I m really happy with her Professional Service and I got so many compliments on my amazing make up and hair. Great to stumble upon this lovely website. I am makeup artist from Penang and would like to feature in this list. My website and fb page as can be found in the url below. Great to see that you have a list of Makeup Artists here on your website. I am a makeup artist from Penang and would love to be featured here. any good recommendation of MUA in KL with a reasonable rate? I'm a Professional Makeup Artist based in Kota Kinabalu,Sabah. She was the mua for my wedding in September, and she definitely did a fantastic job. Recommended for future brides looking for a good MUA in Kuantan area. 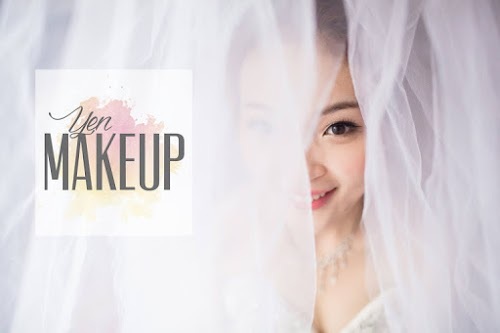 We are Perfect Touch Professional Makeup Artist from Penang. May I know if it is very common for MUA to have more than one clients on the same wedding day? I am not sure if it's common, however if the other job interferes with your session then it is not a good idea. Usually the MUA is required until all the makeup+hair is done. If she/ he has to rush to another client then the result might be compromised. If they don't clash I guess it's fine. Angela was okay only. A bit pricier compared to others, but I opted for her based on reviews and some friends also used her. The make up was okay. A bit disappointed when she did not tidy/shave my eyebrows, reason being she was afraid that she would accidentally cut me. And I felt that she wasn't generous on the concealer. 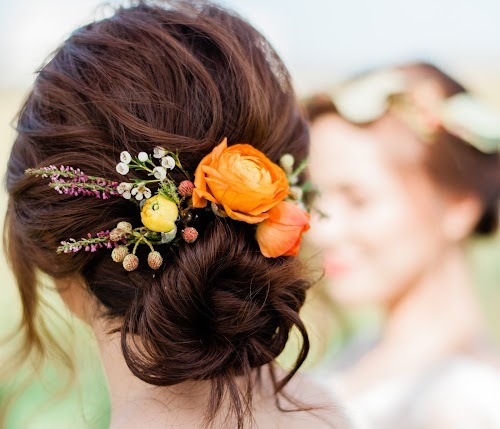 As for the hairdo, I chose the high bun and was surprised that she did not use anything to support the inside of the bun, so my bun was just my original hair, and it was soft and it had to hold my veil... Imagine the stress. The dinner hairdo wasn't as neat as it should be. There were still a few strands of hair which she missed. Maybe she was in a hurry, I don't know. Overall Rating 4/10. Still need improving. May I know any good MUA in Taiping? I have updated the MUAs on the Perak (Ipoh and Taiping) list above. Some Ipoh MUA are willing to travel to Taiping for free. I used cally tan as my MUA for my pre wedding shoot. I found her to be reliable and responsive. I would share my desired look w her and ask her opinions on the dresses and she was ever ready to advise. She was also one of the MUA who agreed to meet up although she was only doing my prewedding makeup. During the shoot, I told her she need not change my look for each dress cos it will only take more time but she insisted. And that told me that she really cared about her work. Her pricing is reasonable and I was really satisfied with my look and how patiently she followed us around. Hi, I'm Judy Chia, founder of Glamstar Beauty Wellness. I'm a professional Make Up Artist. May I have the honor to join your awesome MUA team? I had the worst experience ever with sam khor mua from penang. Not only did she not turn up for the makeup and hairdo, she even tried to cover it with anothwr excuse. Everyone makes mistakes, i can understand if the alarm missed. A simple sorry and making it up to me would be good enough. Covering her mistake with another excuse is just downright wrong. In my opinion, i think she has committed the worst sin ever a mua can ever make. Responsibility, reliability and professionalism is at a big ZERO. It is really dissappointing to have sam khor as my mua as she had good reviews. can you imagine the stress I have to go through In the morning? Presed for time to get ready and without make up artist / own cosmetics / hair do tools..I ended up doing my own hair and makeup And it looks like crap. Good day. I looking for MUA in Kangar, Perlis. Or whoever MUA that is willing to travel to kangar. Hi, May I be added in your list of MUA please. This is our website and Facebook. If you require more information, please do not hesitate to contact me in FB. Can you advise where can find mua not too expensive bcoz just for relative. hello peeps, i am angel chua "deaf” makeup artist based in singapore, www.angelchuamakeup.com. Hope to see you for my service. have a nice day! Hi, are there any MUA based in Langkawi? I'm looking for MUA to do mum's and bridesmaids (x2) hair and makeup for my wedding. Not sure about Langkawi. Here both of them do Penang. You can try. I am looking for Hair and Make up artist for a north indian bride in langkawi - Any recommendations? Hi! Greetings from Pro Makeup Artist Malaysia. Hope you can include us in your MUA list. We look forward to your positive response. Cheers! Showcasing and Enhancing Your Natural Beauty. fb zita hamzah. A professional touch with sweet & natural look. Reasonable price. Do contact 012-3997944..Kl, Selangor & N9 area. Highly recommended. Hi does anyone know any good mua in miri sarawak?